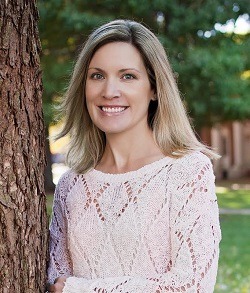 1 Megan, congratulations on ALL THE MISSING GIRLS – your debut adult novel! Can you give us a quick synopsis of the storyline? Thank you! ALL THE MISSING GIRLS is about a woman named Nic who returns to her small hometown ten years after the unsolved disappearance of her best friend, Corinne, when they were 18. Days after her return, Annaleise, a woman who was once connected to the original investigation, goes missing, dragging Corinne’s case back to light. Telling the story backward—from Day 15 to Day 1—Nic works to unravel the truth about Annaleise’s disappearance, and what really happened to Corinne that night 10 years ago. 2 This is your first novel for adult readers. How is writing for adults different to writing for teens – both in craft terms and in what you are trying to communicate to your reader? This is probably something personal to each writer, but for me, the main difference lies in the perspective, both in terms of craft and what I’m trying to communicate. I feel like there’s this heightened immediacy to the teen perspective since I’m often writing about things the main character is experiencing for the first time, so there’s not a lot of hindsight to put each moment in perspective. With the adult perspective, instead of a heightened immediacy, in its place is all this history and experience that colors any event. With adult books, I’m trying to communicate both those things: the events, and the filter. Whereas in YA, I’m trying to communicate the events while also working through the character’s emotional understanding of those events. 3 A big feature of your story is that it is told .. . backwards. Um yes, backwards! How on earth did you pull that off technically and why did you choose that structure? Getting into the technicalities, one of the things that helped pull it all together for me was keeping a few different lists side-by-side as I wrote. First, a play-by-play of what happened in each day; then, alongside each day, a column for “what the narrator knows” versus “what the reader knows.” My goal was to really walk that line carefully, staying true to both, while also making sure the story moved forward, even as time was moving back. As for why I chose that structure, the story idea and structure worked hand-in-hand here. I knew when I started that the narrator was going to be working back toward what happened, unearthing pieces of the past along the way, and I thought a lot about why a narrator would choose to tell a story that way. It’s also tied thematically to going back for answers, and having the plot unwind in this way also works to strip away each layer of character, exposing more motivation as it goes. I think the structure allows for more of a focus on the why in that way. 4 So now you are both an author in YA and in the adult market. What is the difference in marketing/publicity terms and do you think it is possible to promote both strands of your work at the same time? How much overlap is there likely to be? I hope there will be overlap and that fans of my YA will enjoy my adult, and vice versa. I do think ALL THE MISSING GIRLS would also appeal to fans of my YA. I’m still very drawn to the things that happen when we’re teens, and how that affects us years later. How our memories and the way we see things can shift over time, giving us a new understanding of things. But I also think, in terms of marketing and publicity, that each book probably does best when promoted separately to its target audience, and I hope any cross over will hopefully happen more naturally from there. 5 Can you give us some insights into your process? How do you know if an idea is better suited to teens or adults (other than, obviously, the age of the protagonist) and how easy is it to divide your writing time between such different perspectives and markets? Do you get confused moving from one to the other?! Since I’m a writer who starts with character first, rather than plot, I tend to approach that question by thinking about what type of character is best suited for an idea, and then go from there. 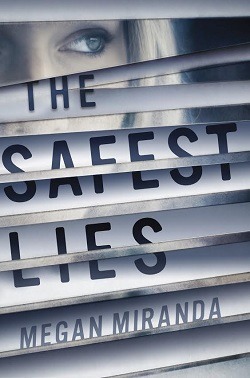 For example, with my latest YA, THE SAFEST LIES —I knew I wanted to write about a character ruled by fear, who would then have to come face to face with those fears in a home-invasion type situation. I had thought of writing about a woman who hadn’t left the house in 17 years who was faced with this situation. But then thought that this story might better belong instead to the daughter of that woman. A character raised in fear, but not quite sure of her place in the world just yet, who doesn’t know what she’s truly capable of until this moment. So I think about what type of character arc the story calls for: a character who’s been largely untested, put under pressure for the first time, figuring out what type of person they are; or a character heavily influenced by a past, who has settled into some sort of routine, and then has their world upended. As for dividing my time – first, I really guard my writing time, blocking out uninterrupted hours of the day for drafting. I also typically don’t write two different stories at the same time, at least at the first draft stage. I like to really dive into a single world with those specific characters, getting to know them better. But while I’m writing one project, I’ll often be thinking of ideas for the other, and keeping notes. I try to have a really good sense of character first, so that when I’m writing through their voice, each project feels very distinct, which helps too. I also have different playlists for each book, so if I’m switching between projects during edits, I’ll listen to one or the other in the morning before I sit down to write, and that helps focus me. 6 An invidious question perhaps, but which do you prefer to write – YA or adult? What are the challenges of writing adult if you’ve started as a YA author? Oh boy, the tough question! There are different things I enjoy about both. For me, because I am closer in age to the narrators of adult fiction, I really enjoy mining those motivations and characters and history. On the flip side, there’s something I really enjoy about a character who is discovering who they are and what they’re capable of for the first time. Basically, whenever I finish one type of project, I’m excited to dive into the other. So, it depends on the day? As for challenges on moving from YA to writing adult, for me it’s remembering that it’s not just an age switch, but that I have to take with it all the years that were lived in between. But I think it’s the same in that you just have to trust yourself, give the story over to your character, and let them tell their story. 7 You are currently knee-deep in writing a second adult novel. Can you tell us more about that? Yes! I’m in the process of editing it right now, so I don’t want to say too much about it yet, but it’s another stand-alone psychological thriller about two women who reconnect years after college, both in need of a fresh start—Leah, to dodge the fall-out of a work scandal; Emmy, to escape a relationship-gone-bad. They move to what they only half-jokingly refer to as the middle of nowhere, but when Emmy fails to return home and Leah eventually calls the police as evidence of a stalker grows, there’s no proof Emmy was ever there to begin with…. 8 Do you have any tour dates in the works where we can hear you speak or read from your work? Thanks so much, Megan! And all good wishes for the success of both ALL THE MISSING GIRLS and THE SAFEST LIES.